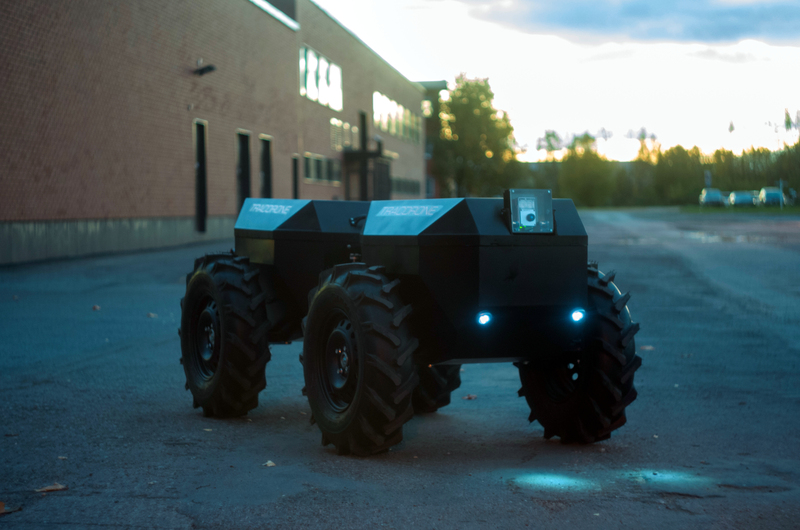 Eero is an autohor of hardware and prototype for an interesting tractor which was built in Hecada and has been developed in cooperation with Estonian University of Land Sciences. 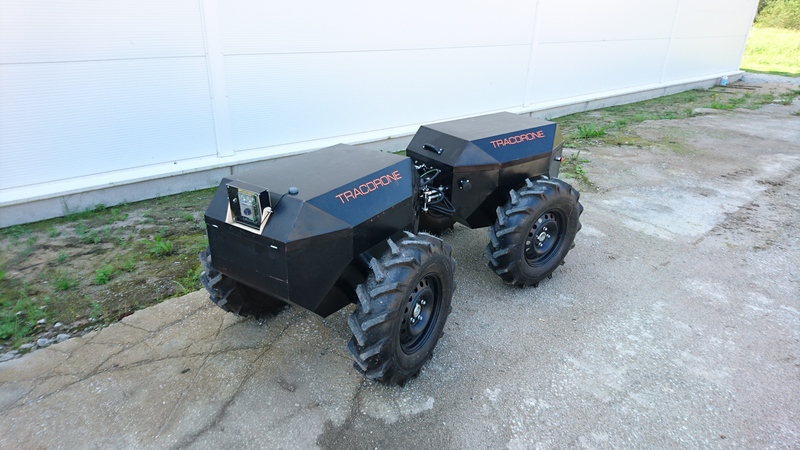 It is a small offroad vehicle, little bigger than ATV and it operates autonomously without driver. 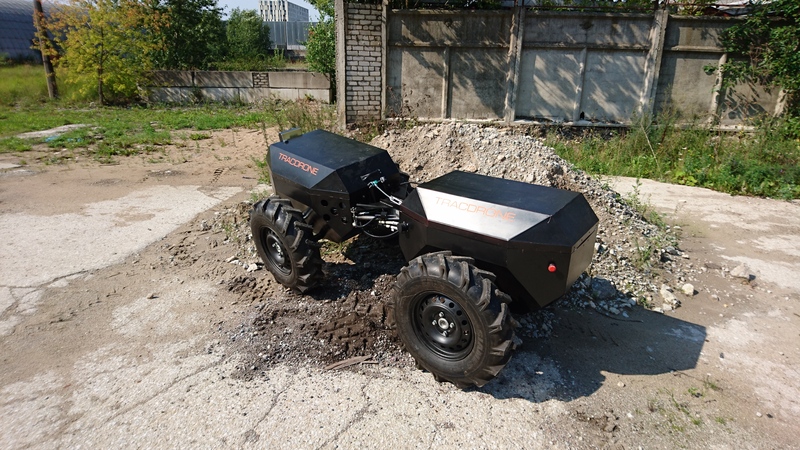 The purpose of the first prototype is to be platform for testing the electronics and hydraulics soulutions, functionality and navigation technologies suitable for unmanned operation. The results were used in Eero’s PhD thesis in Tallinn University of Technology on robot vehicle efficiency and optimization topic. The initial idea has been a modular layout, so the tractor would be made of similar symmetric body modules when two or more of them are connected together through central linkage. The tractor with 2 body modules weights about 450 kg and its dimensions (length 2500, width 1240 and height 1000 mm) are chosen for easily transporting it on a small car trailer without overloading it. Every tubular steel frame body module has 2 wheels that are driven by hydraulic motors. Using hydraulic drive central and axle differential effects, the vehicle does not harm ground while steered. The large wheels rise the vehicle clearence quite high (380 mm) and this can be changed easily when needed. Due to tractor symmetric layout, it can drive equally on both directions. The central linkage has 3-axis freedom and it enables 2.5 m turning radius. As every wheel is independently controlled, it is even possible to skid steer the vehicle. Also all working instruments that can be mounted to tractor are hydraulic. The first prototype can be equipped with frontal loader with 2 m maximum lifting height. 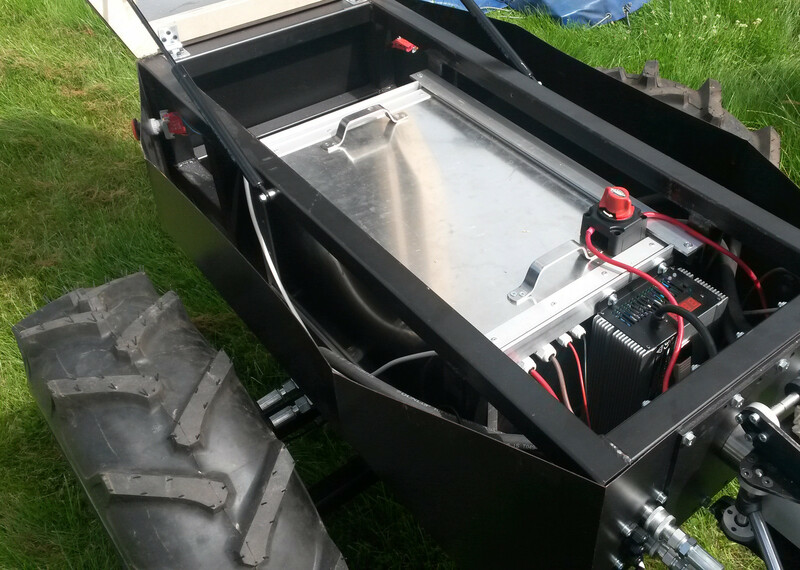 The powerplant is 3 kW 48 V electric motor which uses 132 Ah LiFePo4 battery for energy source and drives 22 cm3 hydraulic pump. 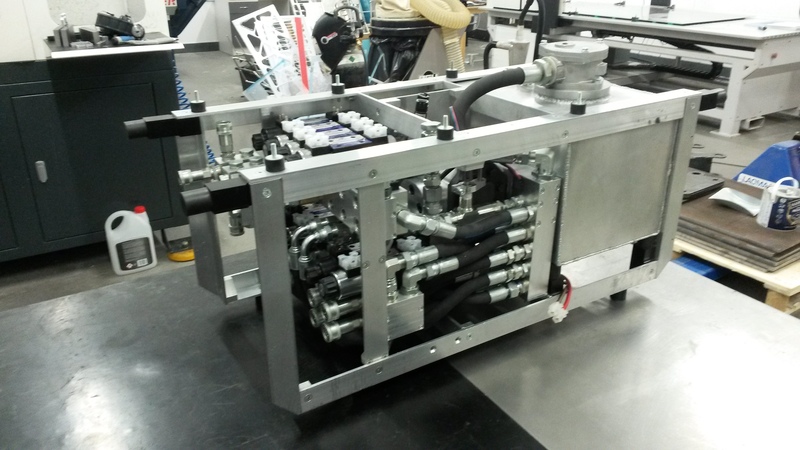 The battery contains enough energy to drive about 4 h and then needs 8 h for charging. The tractor drives with speed up to 30 km/h. In similar to ordinary cars, the data is acquisitied from sensors and actuators are operated by CAN-modules. Data from sensors is collected from CAN and constantly sent to server. Navigation is aided by GPS+INS and objects on driving trajectory is detected by simple lidar. Operator can control the vehicle over WiFi or 4G network via web applet.